Pop to match candies as fast as you can to get your Sugar Rush. Swipe up and down to make huge matches. 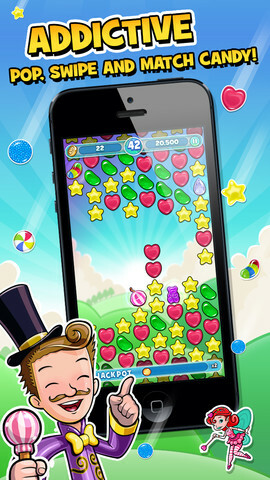 Sugar Rush is rated 4+ and is compatible with iPhone, iPod touch and iPad. Requires iOS 4.3 or later. This app is optimized for iPhone 5.